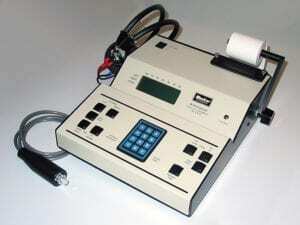 A totally portable, low cost screening audiometer that has functionality for automatic and manual test types. Printer is not included. 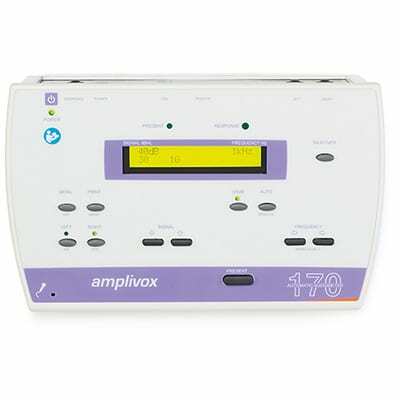 The Amplivox 170 screening audiometer is a stylish, cost-effective device offering both automatic and manual audiometry. 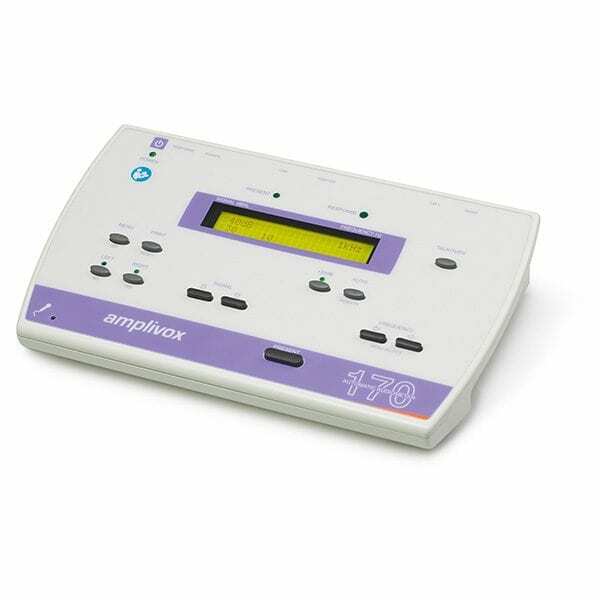 The Amplivox 170 is ideal for occupational health and primary care audiometric requirements. 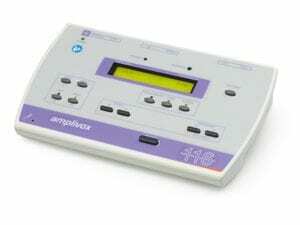 Upon test completion, results can be printed with the optional printer, saved in memory for future use, recorded manually or transferred to a PC installed with Amplivox audibase software for electronic storage and statistical analysis of audiogram results. 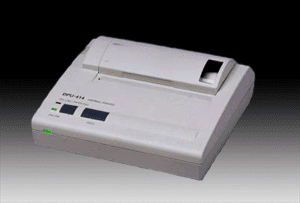 Alternatively a designated portable printer (not included), can be used for threshold level printouts. Lightweight and compact, the Amplivox 170, weighs just 710g and is portable, so it is ideal for both desktop and mobile use. The control panel is easy to read and use with all settings and results displayed on the backlit display. The Amplivox 170 is designed and manufactured to conform with the relevant international audiometric and safety standards. The Amplivox 170 is compatible with all leading occupational health databases to provide electronic data storage and statistical analysis benefits. 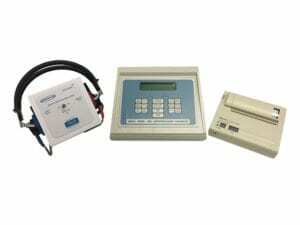 The audiometer can interface to OPAS, Cohort and Medgate OH databases.